(Natural News) There’s nothing quite like grabbing a handful of fresh berries for a delicious and healthy snack. These tiny yet unassuming superfoods are bursting with flavor and provide a multitude of health benefits in a way that artificially flavored snacks can never truly match. There is little doubt that berries are some of the healthiest foods that you can eat. Here are some of the health benefits that you can experience when you start incorporating berries into your daily diet. When fat cells are attacked by viruses or bacteria, they release a complex of proteins as an immune response. According to recent research, obesity can make fat cells act in a similar way, even without being attacked by pathogens. This can cause your immune system to react in an inappropriate way and trigger inflammation all throughout your body. Fortunately, eating brightly colored berries that are rich in natural pigments called anthocyanins can help to reduce the size of your fat cells and minimize the inflammatory effects of obesity. Antioxidants can protect your body from oxidative stress and free radical damage. Good thing berries happen to be loaded with them. Anthocyanins are just one of the many antioxidants that can be found in berries. According to one study, blackberries, blueberries, and raspberries have the highest antioxidant activity among most commonly consumed fruits. Antioxidants are also responsible for the powerful anti-inflammatory properties of berries. This means that you can regularly eat berries to fight chronic inflammation. 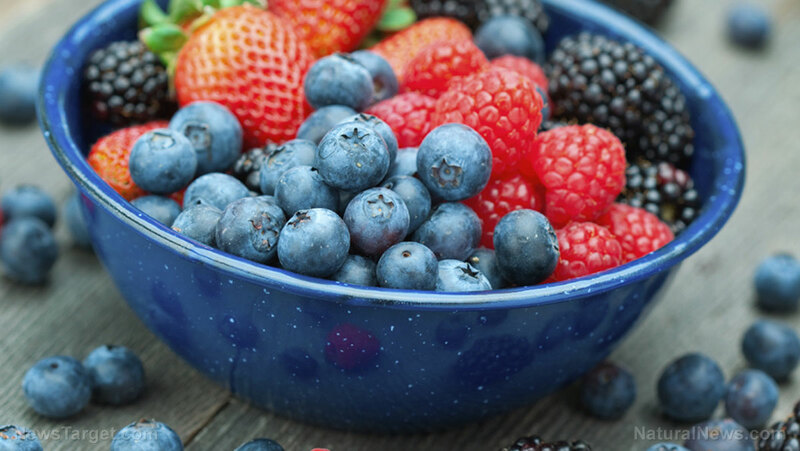 Since the high antioxidant content of berries can combat free radicals in your body, it makes sense that they can reduce the skin and tissue damage caused by these free radicals. Collagen is a protein that makes up the structure of your skin. It allows your skin to remain firm. If your skin becomes damaged, the collagen may lose its firmness and develop wrinkles, which is why skin damage contributes to aging. If you want to keep your skin looking youthful and healthy, don’t forget to munch on a few berries everyday to get that wholesome antioxidant goodness. You can definitely increase your daily nutrient intake by consuming a generous serving of berries everyday. Not only are they loaded with antioxidants, essential vitamins, and minerals, but they also have the advantage of being low in calories. Additionally, berries are a rich source of fiber. This makes eating berries an excellent way to help you lose weight, especially when coupled with regular exercise and and a healthy lifestyle. Learn more about the health benefits of berries and other superfoods by going to SuperFoods.news.